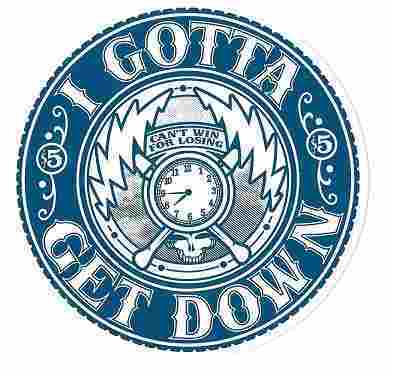 I gotta get down with this Grateful Dead Cumberland Blues all weather vinyl bumper sticker. Measures approximately 5" round. This GD slap decal will look great anywhere!